When was the last time you were awakened after a night’s sleep by a traditional alarm clock? This morning? Like most people you were probably tempted to shut that obnoxious ringing by hurling the appliance across the room. Don’t you wish that there was a way to be awakened in the morning by a more natural method? Even better, to be awakened by a combination of methods that you were able to suit to your own tastes? It’s possible, and leave it to Lumie to create five different types of wake up clocks, with your special likes and dislikes in mind. This article is to show you a side-by-side comparison of these five models so you can decide which is best for you. 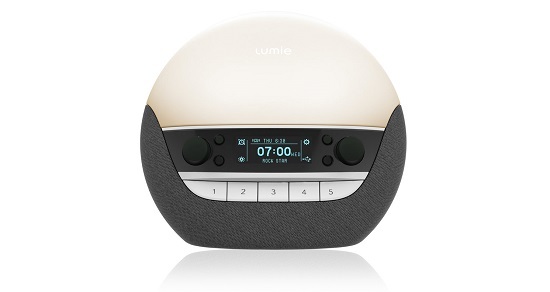 This table below compares the Lumie alarm clocks and the differences between the models. 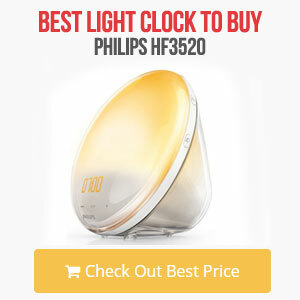 Below is an overview of each of the lights and details about there features and specification. 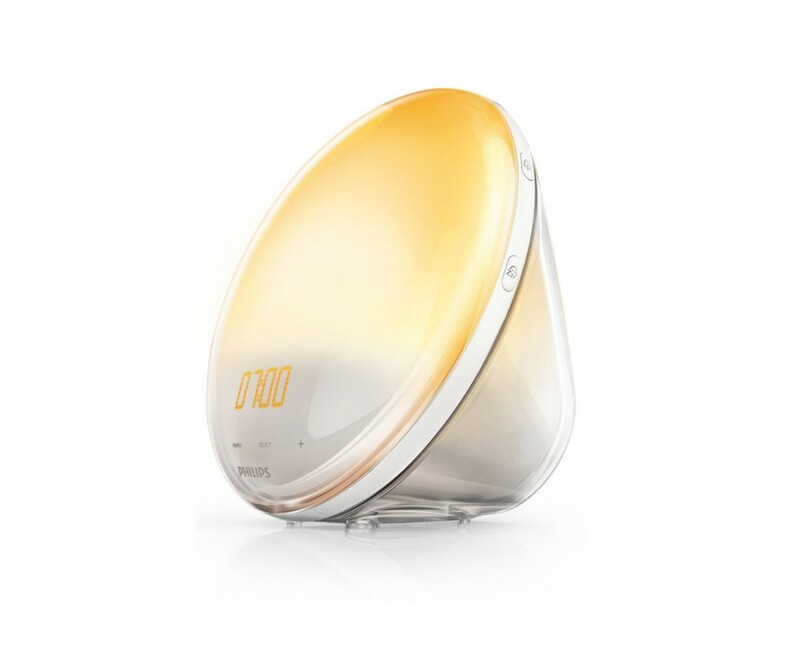 The entry model from Lumie is the Bodyclock Starter 30, it has a sunrise and sunset feature over a 30minute period. 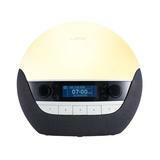 It is a basic sunrise alarm clock that is simple to use and works well, it has a back up beep alarm, dimmable bedside light and a snooze function. This is your basic wake up light which has all the basic options and requirements. 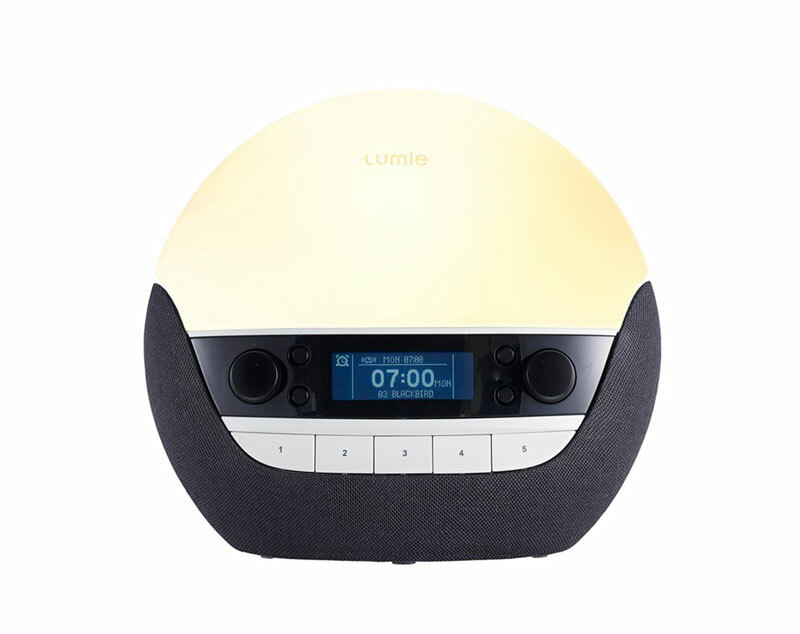 Unlike other models there is no built in radio or alarm sound choices but as with all Lumie models it has a 2 year warranty. The first model of Lumie alarm clocks is the Bodyclock STARTER 30, which might be the lowest priced of this group, but it’s still packed with attractive features that will change the way you wake up any given morning. The duration of the sunrise/sunset cycle is fixed at 30 minutes, giving you that amount of time to wake up or wind down for sleep. You can also use the light, which is dimmable, as a bedside light. There is also the option of waking to a traditional alarm and taking advantage of a snooze button. The display is also dimmable. Other features of this alarm is the power failure backup and a sun ray effect for a more natural way to wake up. If you like the idea of waking up more naturally, but you want a few more options, you might want to consider the Bodyclock GO 75. This model offers you more options to lull you to sleep with 20-, 30-, and 45-minute periods to wake you up or wind you down to sleep. This one also gives you five choices of sounds to wake up to: beep, dawn chorus, wind chimes, drum beat, and Big Ben. The light can also be dimmed and used as a nightlight. There’s even a snooze feature if you still just not ready to get out of bed. There’s even a power failure backup. You can also set the sunrise and sunset to be either 20, 30 or 45 minutes in duration. This model is slightly more than the entry model however if you want something more than a beeping sound in the morning then the dawn chorus sound effect is perfect on this sunrise wake up alarm. As we head towards the top level model this Active 250 wake up clock includes an FM radio to wake up to and extra wake u sounds too. Audio alarm, options include a back up beeper, dawn chorus, rooster call, waves and white noise. You can set the sunrise to be between 15 and 90 minutes. Again this comes with a 2 year warranty and is simple to use. 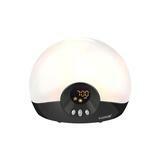 The Bodyclock ACTIVE 250, which can wake you up or put you to sleep in 15-, 20-, 30-, 45-, 60-, and 90-minute intervals. Unlike the models discussed previously, the Bodyclock ACTIVE 250 also lets you listen to your favorite FM radio channels. And when it comes time to get some sleep, but you still have other noises to keep you awake, this model has a white noise option, to drown out other sounds. There are even soothing wave sounds to help you sleep. And when it’s time to wake up, why not try either the dawn chorus or rooster call to wake you up? Other options include the dimmable light for your bedside, a nightlight feature, a snooze button, and even a security function that turns your light on randomly while you’re away from home. Backups include an alarm beep and a power failure backup. If you want to employ aromatherapy along with or instead of lights and sounds, you can do it with the Bodyclock IRIS 500. Two removable aromatherapy chambers can be used to wake you up, with one scent for the morning, and the other for the evening. Both can be set to emit their scents on a continuous or intermittent basis. 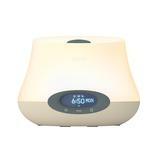 If you have a larger budget and want to wake up not only to light but also a refreshing scent then this Bodyclock Iris 500 has two aromatherapy diffusers built in; adding a relaxing bedtime oil and invigorating morning scent to enhance your light therapy. While having a built in aromatherapy feature it also has the other features you would expect, alarm settings for 7 days, sunrise option, snooze function, however there is no built in FM radio with this model. 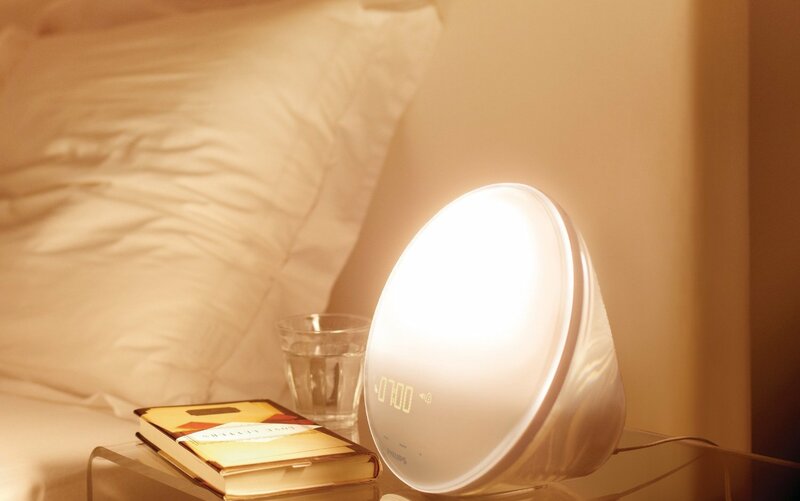 The wake-up light can be set for 15-, 20-, 30-, 45-, 60- or 90-minute intervals to wake you up or get you ready for sleep. The light is also dimmable for use as a nightlight. There’s also a snooze feature and a remote control. There’s also a security function that turns your light on randomly while you’re away from home. 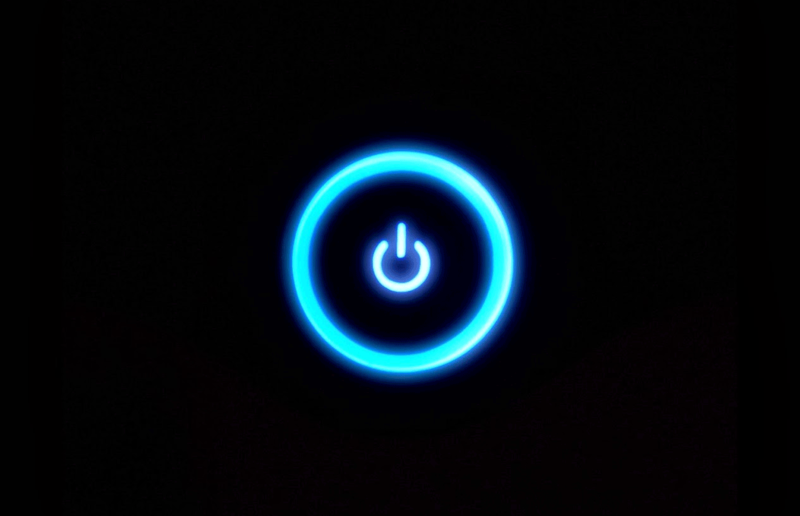 Backups include an alarm beep and a power failure backup. 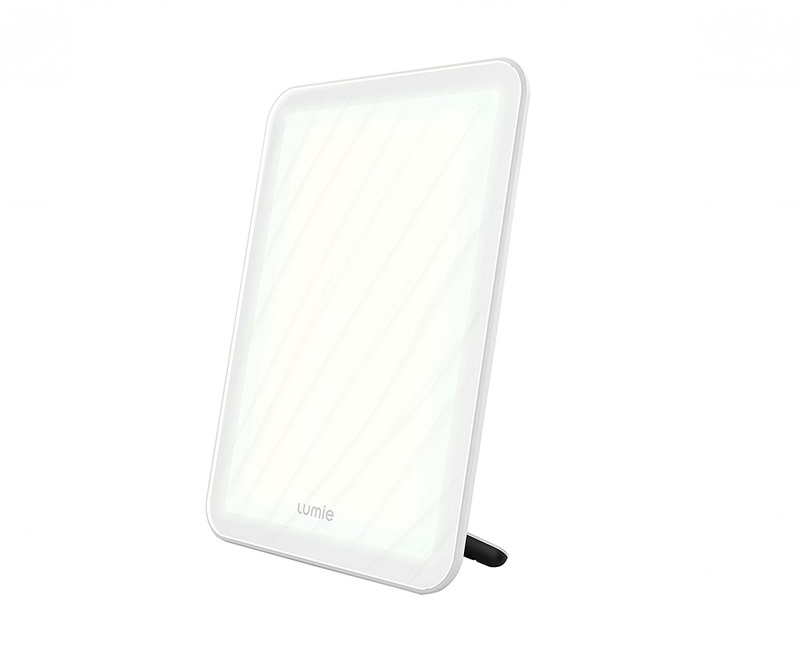 This is the new top of the range model from Lumie and is new for 2016. Stand out features on this model is the built in USB socket for audio playback and being able to charge your phone, it also has Bluetooth for audio streaming too. There is a built in FM radio and really looks stylish. 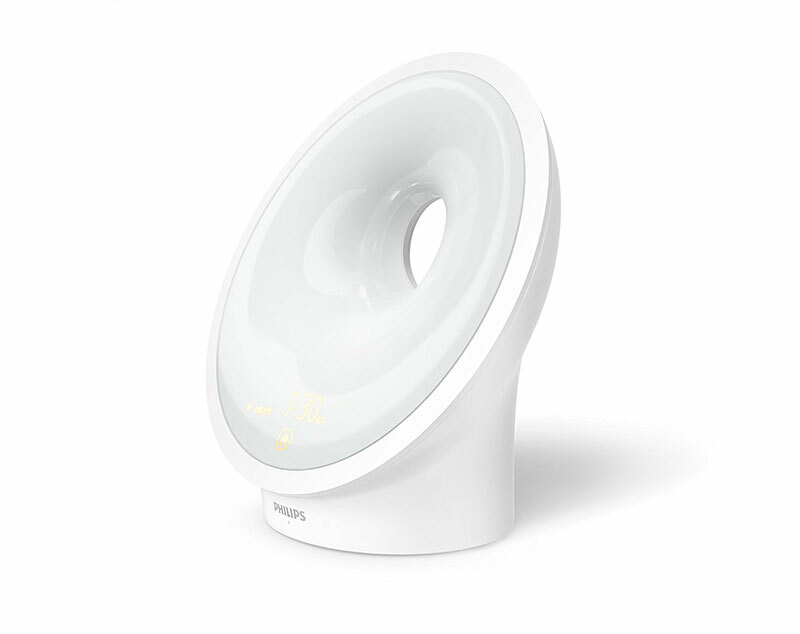 Unlike other Lumie models this uses LED lighting where as other has used halogen bulbs. It has power back up failure and comes with more than 20 optional wake-up and sleep sounds including white noise. 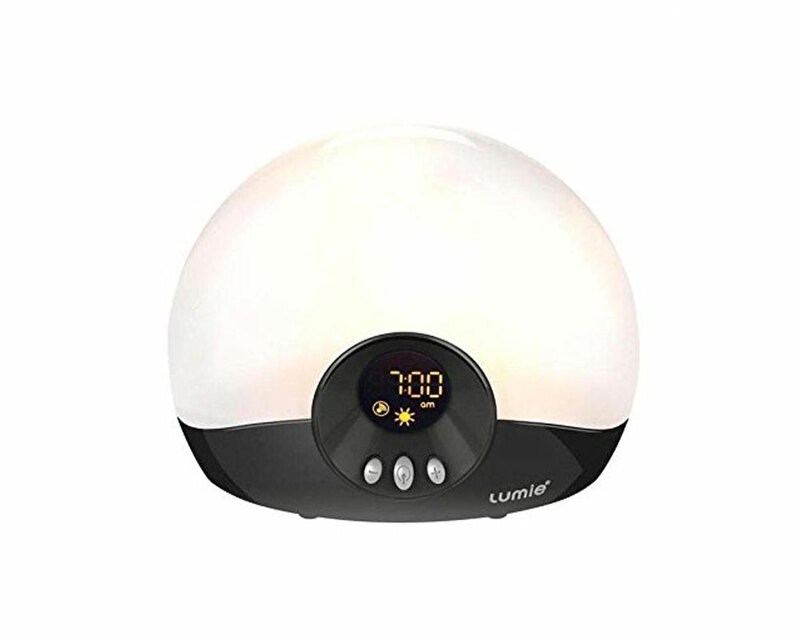 Like the other models of the Bodyclock the Bodyclock LUXE 700 is a clock that mimics the rising and setting of the sun to wake you or gently put you to sleep. Lights also mimic the colors of a real sunrise and sunset. 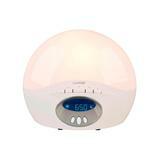 The wake-up light can be set for 15-, 20-, 30-, 45-, 60- or 90-minute intervals You can even have low blue light for relaxing. This has the further effect of helping you treat and prevent Seasonal Affective Disorder. The Bodyclock LUXE 700 model has the widest range of features of all models. One additional feature available on the LUXE 700 that is unique is the dual high-quality speakers to stream music or radio via Bluetooth or a USB port to play more audio files or charging your phone and other devices. The LUXE 700 also comes with 20 different wake-up and sleep sounds, with everything from birdsong, waterfalls, and even background cafe and other sounds, including white noise. There’s even a nightlight setting and a seven-day alarm and a dimmable bedside lighting option. Regardless of the model of Bodyclock you choose, you will find that they are all totally different from any other alarm clock on the market. There are other progressive light alarms available, but none that offer the number of additional features that help you get a better night’s sleep as well as wake you up more naturally so you are fully rested when you are finally awake and ready for your day. There is no other alarm clock on the market that will allow you the number of different options that you can not only select from but combine to give you the most personalized touch in waking up or going to sleep available anywhere. All of this is why when you want a full-function alarm clock, you should choose the Bodyclock model that is just right for your needs.